Being a parent is most the most rewarding and one of the scariest relationships a person could have. The love you feel for your child is all-encompassing and indescribable. If something affects their health, you feel like you’re the one who can’t breathe. Feeling like you can’t get enough oxygen into your lungs is what it feels like to have an asthma attack. 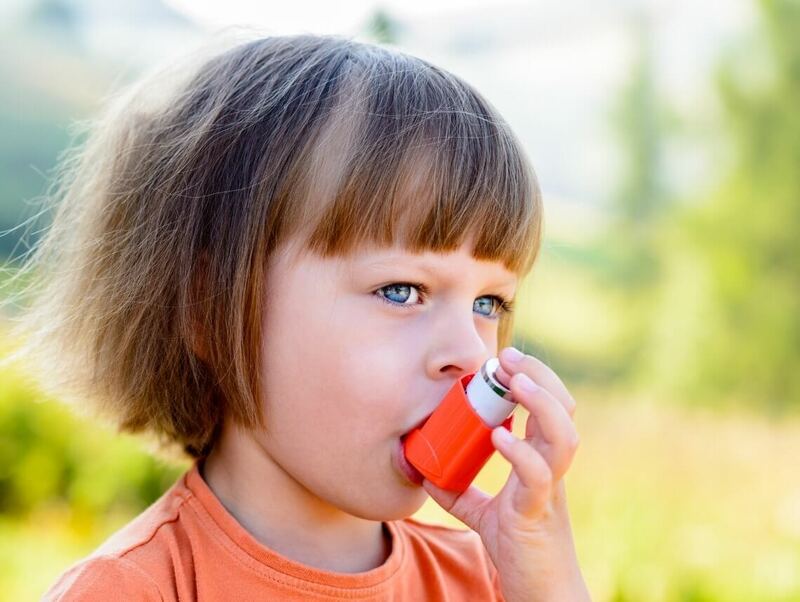 Since this condition is the most common chronic illness in children, we want to provide you with an overview of the condition and some insight about what to expect if your child has been diagnosed with asthma. Asthma is a disorder that causes airways to swell up, making it difficult for air to reach the lungs. When this happens it is called an asthma attack. If the attack is severe, not only is it difficult to breathe, but the decreased oxygen flow can also affect the function of internal organs. To make matters worse, the body creates additional mucus, making it even harder to breathe. A person can be diagnosed at any age. Some people are diagnosed as children, others receive the diagnosis in adulthood. The symptoms in adults and in children are the same. However, it’s one of the leading causes of hospitalization in children. If not properly managed, it can be life threatening. It has no cure, but with proper treatment, a child can have a normal life. The biggest risk factor is allergies. If a person is prone to suffering from allergies, being exposed to the source of irritation is a trigger for an asthma attack. Genetics (if a family member has asthma, a child is more likely to have it). Treatment for asthma in children varies depending on the child’s age. Diagnosing asthma in children who are younger than 5 years old is difficult, since the typical asthma symptoms could be the result of a different condition, and some children are not old enough to follow breathing instructions as directed by a doctor. Your child’s pediatrician will likely order close monitoring of breathing patterns, as well as blood tests or x-rays. If your child is diagnosed with asthma, he or she may require medication. As a parent, you will be instructed to keep detailed notes on how the medication affects your child: What triggered the asthma attack? How long did it last? Were there any side effects after taking medication? Did symptoms improve? How long did it take for the medication to take effect? Does the medication interrupt your child’s sleep patterns? Your child’s pediatrician can test for asthma the same way adults are tested for the condition: By conducting a spirometry test or by measuring the child’s peak flow rate. If your child has asthma, the pediatrician will likely prescribe asthma medication (some of which may be administered through an inhaler) and refer you to an asthma specialist. Another type of treatment for children who are 5 years of age and older is allergy shots. While they wouldn’t completely eliminate the risk of an asthma attack, they do build up a child’s resistance to triggers. Also, it’s crucial to note that when an attack is severe or if the patient does not respond well to medication, there can be more serious consequences, such as a collapsed lung or respiratory failure. At Sonas Home Health Care, we understand how overwhelming and distressing it can be to constantly worry about your child’s health. If you need additional assistance to ensure the best medical care, you can count on us.